1. "It gets a lot faster on the back nine." This is a course that is reliant on its old reputation and is only after your money. The fairways were bad, greens were truly awful, and people complaining (we were not only ones) were told "tough." It was the most expensive of the games we played and the only one we did not enjoy or finish. Try La Cala Resort instead (the brand new Europa is brilliant), and Monte Mayor Golf Club especially. The Old Course at St. Andrews tops GolfEurope.com reader Espen Undli's list of the 10 best courses in Scotland. 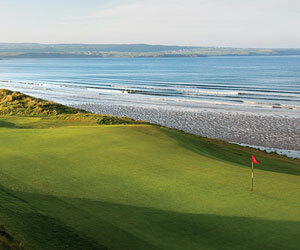 Also on the list are Turnberry Alisa, the Carnoustie Championship Course and the Kings Course at Gleneagles.